Live, during your upcoming stay, in the capital of the Czech Republic near the picturesque historical centre. Rent an apartment in Prague 3, with the help of the Flatio team, for a few weeks or months and have all the events in the heart of Europe at your fingertips. The minimal stay is 14 days. The closest date you can stay until is . Do you want a rental in Prague 3 for 14 days, a month or even half a year? Take a look at all the offered apartments in the selected area and pick one. Check out the newest rentals added on Flatio and pick the ideal home for your upcoming stay. Deciding will be more comfortable thanks to virtual tours, a rich variety of photos, and user ratings. 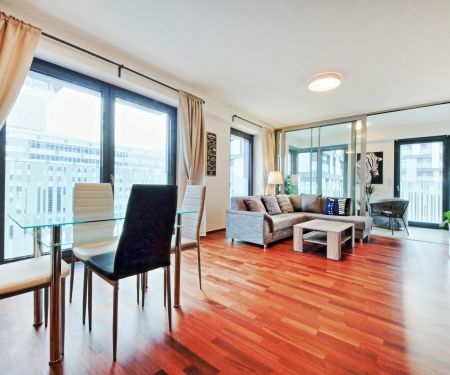 What are the advantages of renting an apartment in Prague 3 with Flatio? All the offered apartments are fully furnished and equipped. When you move in, you can just start using them. We handle everything quickly – in max. 24 hours you’ll know if you can count on getting the rental. You don’t pay any deposits or steep estate agency fees. Live in the capital of the Czech Republic for 14 days, a month or half a year without worrying that you are missing something. Choose the ideal apartment of various dispositions on Flatio based on your needs and style. 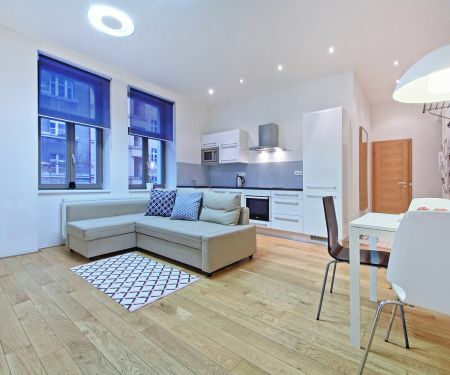 All apartments on offer are fully furnished, equipped and have all the useful appliances. When you arrive, you can start living immediately without any hold ups such as going out to buy a kettle or searching for the nearest laundromat. Within the 6.49 km² of Prague 3 live, according to data from 2017, precisely 74 559 people who are just around the corner from Žižkov Television Tower or the National Monument in Vítkov. Do you want to live in this location? Choose the ideal rental on Flatio and request reservation. In 24 hours the landlord will let you know if the apartment is yours. Are you still making up your mind about where to live during your trip to the capital of the Czech Republic? On Flatio, we know how important the ratings of real tenants are for your final choice. That’s why with us you can filter the best apartments in Prague 3 and pick from the top-rated apartments that the location has to offer. Are stable WiFi connection and quiet neighbours important to you? Have a better idea of what the chosen home is like based on experiences of previous tenants and make sure that the rental is ideal for you. If you are visiting Prague because you’re going on a business trip, study trip or you planned a long trip; you are definitely looking for a place to stay. Do you want to avoid noisy dorms or overpriced hotels and boarding houses? Use Flatio to find a mid-term or a short-term rental for a few weeks, a month or half a year. With us, the process is fast, simple, and you can do it from China or America. All you need is an internet connection. All apartments are fully equipped – furniture, appliances, even WiFi. You can get rentals in Prague 3 without a real estate agency and steep commissions, which will go straight to the estate agent’s pockets. On Flatio, we’ll only require you to pay 19€ reservation fee and a service fee calculated based on the length of your stay. Nothing else. Lessen the costs of living in the capital of the Czech Republic with the help of the Flatio team. 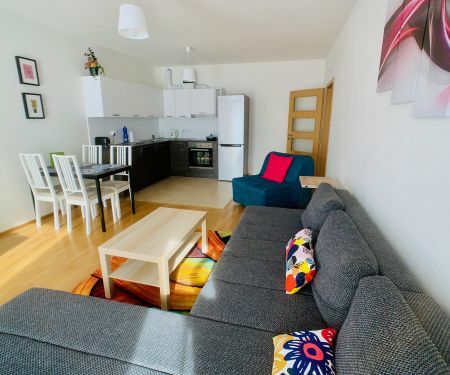 Get a rental in Prague 3 without a deposit and use the saved money for getting to know the local culture, going to events, or just meeting new friends. Flatio is the only place where you can easily rent a furnished flat for 1 - 12 months directly from the owner.